Medical Polymers has designed and developed our own insert-molded Standard Catheter Manifold, with our without suture tabs. 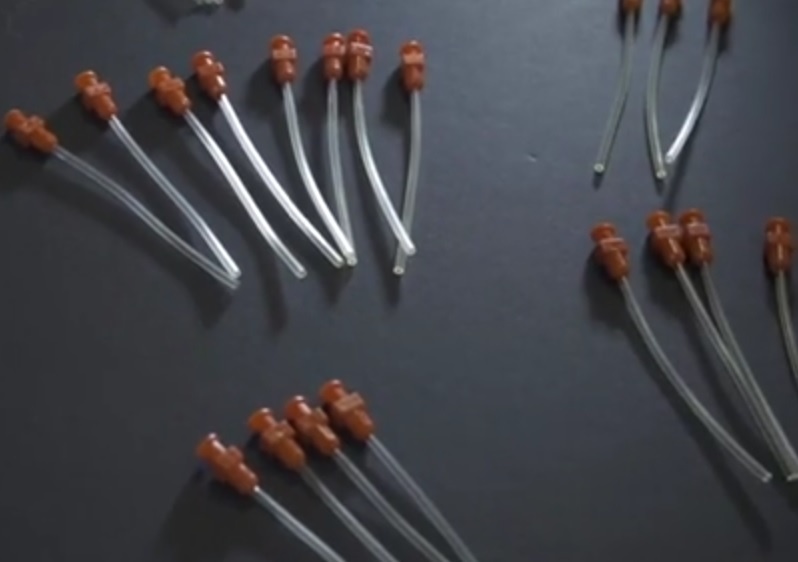 By having existing tooling in place, the only cost associated with your next catheter development project will be for the catheter and end tube shut-offs, as well as mandrels. Along with a quicker turnaround time, this can save your company as much as 75% of the cost associated with custom manifold tooling. Along with our Standard Catheter Manifold, Medical Polymers has designed and developed an overmolded, ISO 13485 Compliant Female Luer. 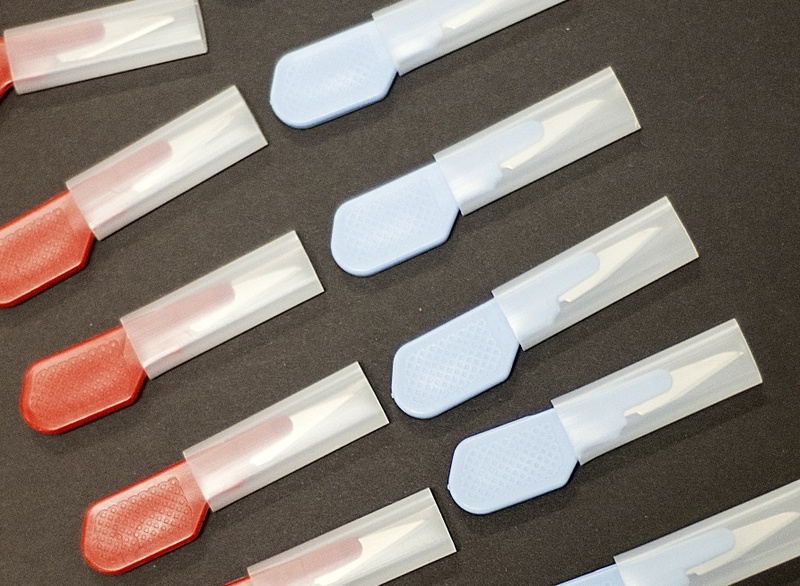 Replacing the need for messy solvent to bond luers, Medical Polymers once again meets the market demand with our ISO 13485 Compliant Female Luers. 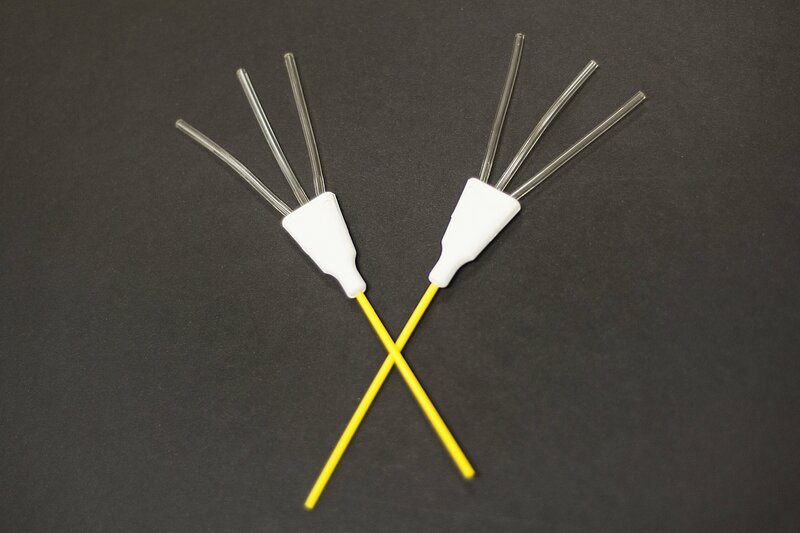 As is the case with our Standard Catheter Manifold, our female luer will not only reduce your development time, but will cut down on costs as well. To help facilitate all of your trimming and tooling needs, Medical Polymers offers the Custom Color Mini-Blade. Show your company pride by customizing the comfortable grip with your company's colors. With the tooling already in place, we can produce the mini-blades quickly, efficiently and more importantly, on budget.